Is Klarna the new PayPal? 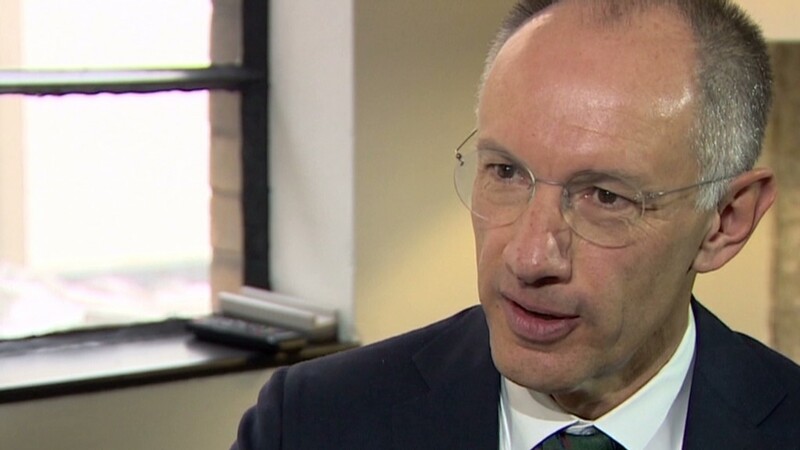 PayPal revolutionized the way we buy things online, but Klarna is the next big thing in Internet payments, according to famed venture capitalist Michael Moritz. Moritz made early investments in Google (GOOGL), LinkedIn (LNKD), Yahoo (YHOO) and eBay's (EBAY) PayPal. His firm, Sequoia Capital, has been investing millions in Klarna over the past few years. He is impressed with how the Swedish company's technology makes online transactions easier, cutting out passwords and the traditionally slow registration process. "We've invested in payments for a good long time and had started doing that in the 1990s," Moritz told CNNMoney. "We had been an early investor in PayPal. But that was a long time ago. That was almost 15 years ago now. And the world moves on and changes, particularly with the advent of mobile computing ... there's a vast new landscape to conquer." Klarna has processed over 150 million transactions in Germany, Sweden, Norway and Finland, and the company plans to expand in the United Kingdom over the coming months. There's no word yet on when it may try to break into the U.S. market. With its Checkout online service, Klarna aims to take the hassle out of smartphone and tablet e-commerce, encouraging customers to complete their purchases by entering just their emails and postcodes instead of using traditional long sign-in processes. Related: Alibaba grows at 35%, but is that good enough? Klarna co-founder and CEO Sebastian Siemiatkowski notes that it's difficult to get customers to make purchases on mobile devices. Of the 100 people who may click 'buy' on their phone, only three finalize their purchases, he said. Moritz said he likes that Siemiatkowski understands the problems and hassles consumers face with their online purchases. "Payments leaves a lot to be desired in its past, and even current state, on the internet. Klarna is addressing that," he said, noting that the company is working to get as close to a one-click payment process as possible. Moritz and his firm Sequoia are well-known throughout Silicon Valley for investing in promising technology start-ups that eventually become household names. Moritz is a member on the board of directors of Klarna, LinkedIn (LNKD), Kayak.com and Sugar Inc., among others. He was previously on the boards of Google (GOOG), Yahoo (YAHOF) and Paypal, which was bought by eBay (EBAY) in 2002.